Bottom Line: Are you overwhelmed by stress? Well, you're not alone. Studies show over 54% of people are concerned with the amount of stress in their daily life. Many of us carry this stress in our shoulders and neck. Muscle tension in our shoulders can contribute to headaches, neck and back pain. Chronic stress can lower your energy levels resulting in irritability, illness, and even depression. But, there is good news! A few simple changes to your daily routine can help you dramatically decrease your stress level, boost your energy, and ultimately live a healthier and happier life. Keep reading to learn how. Bottom Line: Our bodies are designed to move! Many of us however, are trapped commuting to work or spending long hours at a desk staring at a computer screen. For all of the advantages of the modern world, we have noticed an increase in sedentary tendencies. Shockingly, this mostly sedentary lifestyle has been linked to a vast array of disease. Researchers have found too much sitting each day is as dangerous as smoking! Yes, it’s true. Too much time sitting may be one of our most challenging health epidemics. Bottom Line: So, you’ve got back pain. It’s altered your life, changed your daily activities, curbed your exercise, and maybe even made you a bit irritable. Now what? Well, it's important to know you’re not alone. Nearly everyone will experience back pain at some point in their life. Thankfully we have a method of care to help you get back on your feet without the risks associated with medications and surgery. Chiropractic! Research has shown that adjustments help over 90% of people recover from back pain. Over 1 million Canadians and 6% of the world suffer from fibromyalgia. Women make up over three quarters of those afflicted by this painful condition. Fibromyalgia consists of chronic widespread pain, and a heightened response to pain and pressure. Associated symptoms include extreme fatigue, sleep problems, and memory troubles. In addition there could be restless legs syndrome, bowel or bladder issues, numbness, tingling, and sensitivity to noise, lights, and temperature. There is no known cause for Fibromyalgia. 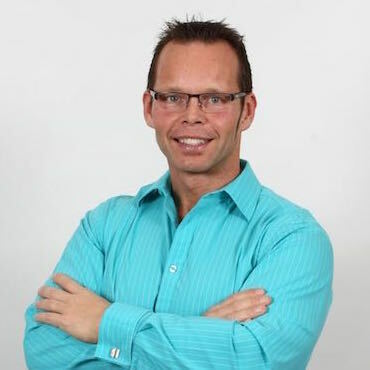 There now is a drug free solution provided right here in Airdrie at Atlas Family Chiropractic by Dr. Glen Johanson. Your posture is a window to the structure of your spine and function of your nervous system. Good posture is evident when there is good alignment and position of the spine and the brain is relaying proper information without interference. One of the most common questions that I get from patients, when they are relocating to a new city, is how do I find a great chiropractor for my family? In some cities there are dozens of choices, so, how do you know which doctor will be right for you? This article will help you walk through the steps of how to choose the right chiropractic doctor.